Computer Tomography also is known as CT or CAT of Abdomen is a noninvasive imaging technique that uses series of X-rays to capture horizontal or axial images in slices of the abdominal area to diagnose ailments associated with bones, muscles, blood vessels and other organs in the abdomen area including cancer. Hyderabad is the capital of Telangana and the population of Hyderabad is estimated to be 10.2 million. Frequently referred to as the Hi-Tech city, Hyderabad is one of the fastest developing IT cities in India. The city is no different from other metro cities when it comes to disease prevalence. According to World Health Organization (WHO, 2014) estimates, the Non Communicable diseases (NCDs) and Chronic Diseases in Hyderabad like cancers, chronic respiratory diseases, Diabetes, injuries, and other NCDs account for more than 50% of mortality rates. Hyderabad’s healthcare system is well built to serve the medical needs of the people with 50 government hospitals, 165 private hospitals, 4000 clinics, and nursing homes and 500 diagnostics centers. The majority of the populations prefer private hospitals over public healthcare facilities due to far distance locations, poor quality of patient care and extreme waiting time. The risk factors that stimulate the NCDs and Chronic diseases in Hyderabad include tobacco use, high alcohol consumption, overweight & obesity, inadequate physical activity, and inappropriate dietary practices. According to the Associated Chambers of Commerce and Industry of India survey, Hyderabad ranks sixth in the prevalence of diabetes. More than 22% of the city’s population suffers from diabetes. When checked under the National Programme for Prevention and Control, it showed that diabetes has led to many abdominal diseases including kidney problems, a greater degree of central obesity, increased rate of fatty acid circulation, a decrease in pancreatic capacity of insulin production and liver disorders. The other risk factors like tobacco and alcohol use have given rise to higher chances of cancer. To prevent morbidity and mortality due to these diseases, it is very important to detect and treat them early. CT scan is an important imaging tool that plays a vital role in diagnosing the above abdominal problems early. The CT scan of Abdomen assists in pinpointing and diagnosis of abdominal diseases like kidney stones (size and location) appendicitis, intestinal disorders, inflammation in different areas like pancreas, intestines, liver, and cancer (location and staging). Hyderabad is known for having a structured health care system. The city comprises 500 diagnostic centers to meet the radiology needs of the patients among which approximately 20% of the centers are certified by ISO and NABL. Although, there are many other centers whose certifications are in process. 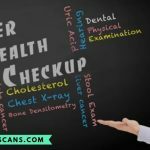 There are also a few private diagnostic centers that provide CT scan services at par with the approved and certified centers, providing great quality reports and patient services. Diagnostic centers in Hyderabad are well equipped with technically compliant Multislice 16 to 64 slices CT scanners that provide regularly to Dual and Triple phase abdominal CT scan as well. The CT scan of Abdomen comprises of two or three tests put together for a diagnosis. The cost of Abdominal Angiography, Dual Phase, and Triple Phase CT scan may cost anything above INR 1,750. 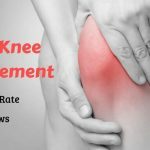 How to get an online appointment and pay less for CT scan in Hyderabad? Hyderabad being the Hi-Tech city, everybody is tech savvy and in today’s web-connected world, the online appointment scheduling process is the most preferred way to book an appointment. It is very effective and efficient way to manage the intense flow of the patients. It is easy, highly accessible and convenient way of staying connected and managing the information, helpful to both, the patients as well as the healthcare providers. 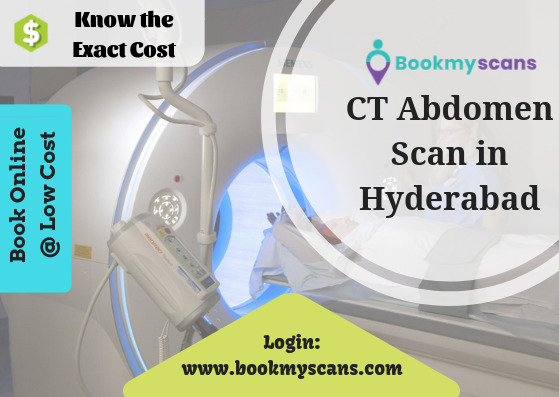 BookmyScans is one such platform that has helped people of Hyderabad by providing information about quality CT scan centers near them resulting in time and monetary savings. We partner only with centers that are ISO and NABL certified to make sure patients get the best services, quality and accurate reports at affordable prices. You can book appointments with centers near you at any time of the day and manage your appointments by requesting for rebooking and rescheduling and easily download the reports online.